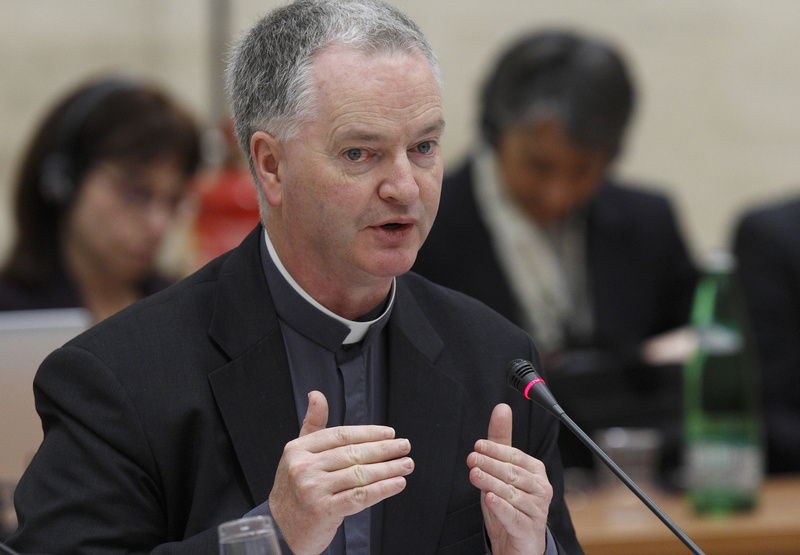 Pope Francis has nominated the well-known Irish monsignor, Paul Tighe, as a bishop and has appointed him as Adjunct-Secretary to the Pontifical Council of Culture. The Vatican made the announcement on Dec. 19, and said the Pope has named him to the titular episcopal See of Drivasto in Albania. Msgr.Tighe is the senior Irishman in the Vatican. At the time of his appointment he was Secretary to the Pontifical Council for Social Communications, the Vatican office headed by Archbishop Claudio Maria Celli that relates to the international media particularly in the field of radio, television and the social means of communication. Benedict XVI appointed him to that post at the end of 2007. Since then, the Irish monsignor has became well known in Rome and around the world—particularly in the English-speaking world—for his talented and dedicated service in this field. In this role, he became a point of reference and great help for many in the Anglophone media. As is well known, Pope Francis began the reform of the Roman Curia in 2013. As part of that project, and having heard the views of his Council of Nine Cardinal Advisors (the C9), he decided to reform the entire communications operations of the Vatican. To assist him in this major work, he established an international commission headed by Lord Patten and asked it to study the current situation and provide recommendations for reform in this vitally important area. He appointed Tighe as secretary to that commission, and when it completed its work, the Irish monsignor presented its conclusions to a meeting of the C9 presided over by the pope. After further consultation within the Roman Curia, the Pope decided to create the new Secretariat for Social Communications and appointed the Italian monsignor, Dario Vigano, as its first head. It was obvious at that point that he would either reassign Msgr. Tighe to another position in the Roman Curia or possibly name him to an Irish diocese. It is clear that Pope Francis values the loyal and professional service given to him and his predecessor, over the past seven years, by this very friendly, talented and humble Irish priest, and so decided to retain him in the Roman Curia. Hence today’s appointment. As secretary-adjunct, Msgr. Tighe now becomes joint number two to the Italian cardinal and biblical scholar, Gianfranco Ravasi, who is president of that council. He will take up his new post in the New Year, when he will also be consecrated bishop. The bishop-elect was born in Navan, County Meath, in February 1958. He has five siblings. After gaining a law degree from University College Dublin in 1979, he went onto study for the priesthood at Holy Cross College, Clonliffe, and the Irish College in Rome. Immediately after his ordination in 1983, he was assigned to work in a parish in Dublin but was sent back to Rome the following year to do post-graduate studies in moral theology at the Pontifical Gregorian University (1984-90). On his return to Dublin in 1990 he was appointed as a lecturer in moral theology at the city’s Mater Dei Institute, and ten years later he became head of its Theology department. In those years, he also served as a member of the Theological and Bio-Ethics commissions of the Irish Episcopal Conference. In 2004, Dublin's new archbishop, Diarmuid Martin, gave him a very different task: to restructure the Communications Office of the Dublin archdiocese, and develop its work with local, national and international media. In that role, he established for the first time an Office for Public Affairs to provide a more effective link between the archdiocese, the government, public bodies and NGOs in Ireland and Europe. His creative work in this whole area led to his appointment to the Pontifical Council for Social Communications where he has served since early 2008.